It’s a new year, just ripe for new products! Happy New Year, folks! Here are a couple of the new treats I have ready for you. 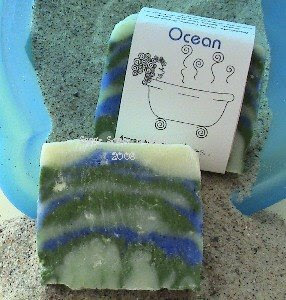 First, there’s Ocean, a bright, crisp unisex soap that’s just as nourishing for your skin as it is stimulating for your senses. This soap features a white, blue and green funnel swirl and no two are exactly alike. 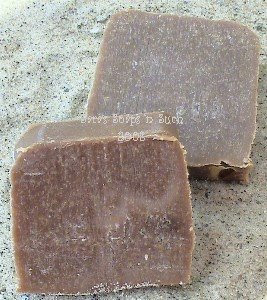 Then there’s this gem of the desert – Desert Sands, a warm, earthy, exotic, sensual blend of essential and fragrance oils, exclusive to Sara’s Soaps ‘n Such. Top notes of vanilla and sandalwood give way to bottom notes of patchouli and ylang ylang – very much a delicious, masculine scent. Now for the soap itself… A luxurious blend of nourishing, moisturizing oils that will be a treat for even winter-dry skin. Check them out today! You won’t be sorry! Previous Previous post: Sale! Sale! Sale!